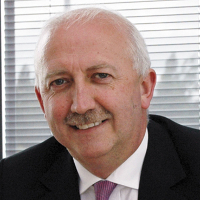 In his latest blog for Infologue.com, James Kelly, Chief Executive of the British Security Industry Association and Chairman of the Security Regulation Alliance, discusses the industry’s comfort through clarity on regulatory enforcement. “With the ‘open for business’ date for the security industry’s new licensing regime now firmly in the past, the industry faces continued uncertainty regarding the future of business licensing. James Kelly, Chief Executive of the British Security Industry Association and Chair of the Security Regulation Alliance, reports on the latest negotiations between industry and Government. “The issue of legislation has been hotly debated throughout the process of regulatory change, and continues to form a key focus of the Security Industry Authority (SIA)’s future plans for the security industry’s regulatory regime. In 2013, I wrote about the important role that primary legislation should play in support of regulatory change, and highlighted the industry’s concerns that a lack of primary legislation could leave the SIA with limited options in terms of enforcement. “Despite these concerns, I am pleased to report that, from recent negotiations with the Home Office and the SIA, the Security Regulation Alliance has secured some degree of comfort about the existence of such sanctions. Clarification has now been received that the SIA will have a number of tools at their disposal, specifically, the ability to apply conditions and directions to business licences to restrict and monitor their future activity. “In order to ensure that the regulator capitalises on these powers, the Security Regulation Alliance is now pushing for them to take advantage of the Regulation, Enforcement and Sanctions Act (2008). This Act gives regulators the power to fine non-compliant companies, and lists 25 regulators – including the SIA – that can apply for the power to levy financial penalties. “In fact, only four of these regulators have ever really done this, mainly because there is a high standard of proof required by the Act, and many regulators are nervous about this burden of proof. Despite this, the SIA has outlined its intention to make full use of this Act, in addition to other legislation, including the Proceeds of Crime Act (2002) and Regulation of Investigatory Powers Act (2000), to make sure that appropriate action to enforce the conditions of business licences can be taken, with the SIA taking all necessary steps, where appropriate, to recover any profits made from the breach of a licence. In another encouraging development, the Home Office, too, has recognised the benefit of the Regulation, Enforcement and Sanctions Act for our industry. “Going even further, the SIA has drawn up a draft compliance and enforcement strategy in preparation for the ‘go live’ of business licensing – still due next April, despite recent postponements in the implementation process – which reiterates the organisation’s existing powers under the Private Security Industry Act (2001) to refuse, suspend or revoke a business licence, impose additional conditions or issue directions. “Under the existing regulatory legislation, a range of offences, including engaging in licensable conduct without a licence, using unlicensed security operatives and contravening licence conditions, can carry substantial financial penalties as well as prison sentences of up to five years. “With enforcement measures expected to take into consideration repeat offending, the scale of an offence and the amount of financial gain achieved by the company through non-compliance, industry practitioners and their customers can rest assured that, in this case, the punishment is set to fit the crime, with prosecution not the SIA’s preferred – or only – option. “Despite the long-awaited clarity regarding legislation and enforcement, the Security Regulation Alliance remains somewhat concerned about the cost of the new licensing regime, and have passed on our members’ concerns that the SIA’s long-held assurance that the cost to businesses of the new regime will be the same or less simply aren’t stacking up. For some businesses, the cost of regulation will be an entirely new cost, and for them, the financial burden is likely to increase. “Having said that, it has become clear that certain companies’ accounting practices might skew their calculated estimations, and the SIA has succeeded in reducing costs in other areas, not least the reduction in individual and ACS fees from January 2012. It is unlikely that the final cost of the new licensing regime will be clarified until the level and basis of fees has been agreed by the Treasury, and as such, security companies will have to rely on the SIA’s previously-issued indicative cost ranges to plan future expenditure.